The day we visited the enigmatic village in Ura, we collected a few local stories. One of them was of Mebar Tsho, a name which translates as Burning Lake. From the name I imagined something quite different from what it is: a widening in the river Tang, as you can see in the photo here. Dinesh knew that there were caves around here, and took us off the highway at the correct place. The last bit is a little climb. One thing I like about Himalayan Buddhism is that you have to walk to these holy places, so they retain their air of calm and peace. We were the only people at the “lake”. The road led up, and we followed. It was an easy climb, but soon we had a lovely view down into the gorge which the Tang Chhu had cut for itself. We reached a little clearing at the end of the road, where there was a cave. This was full of offerings left by visitors, which you can see in the featured photo. The story of this place is famous in Bhutan. In the 15th century the holy man Pema Lingpa dreamt of hidden treasures in the lake, as Padmasambhava had prophesied before. The Tang king did not believe this. 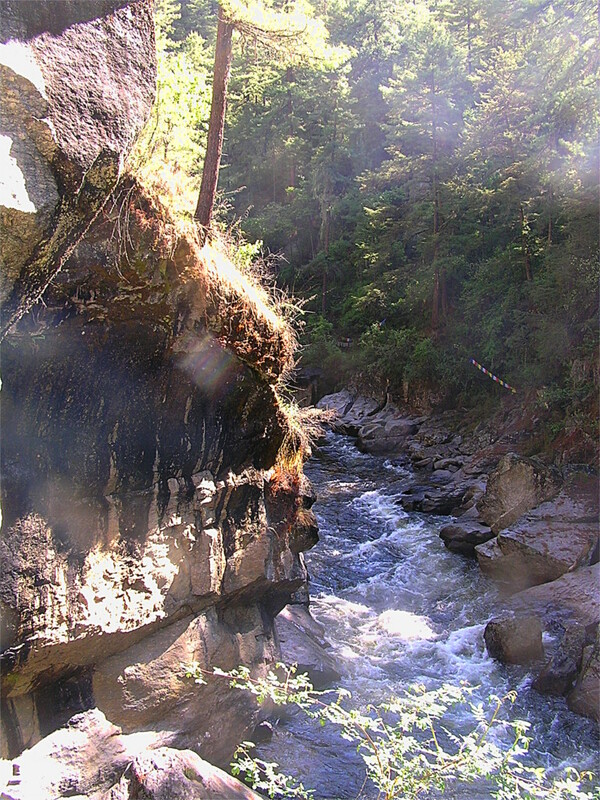 So Pema Lingpa took a burning lamp in his hand and dived into the dark water. He searched the waters with his lamp, and emerged holding a scroll and a chest of treasure, with the lamp still burning. 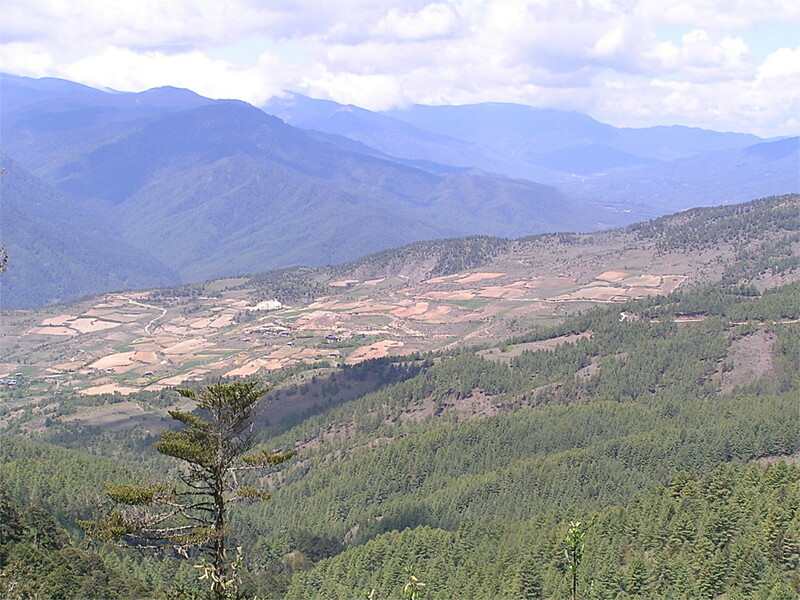 Pema Lingpa is known as a terton, loosely translated as a treasure finder. He is believed to be a reincarnation of Padmasambhava. 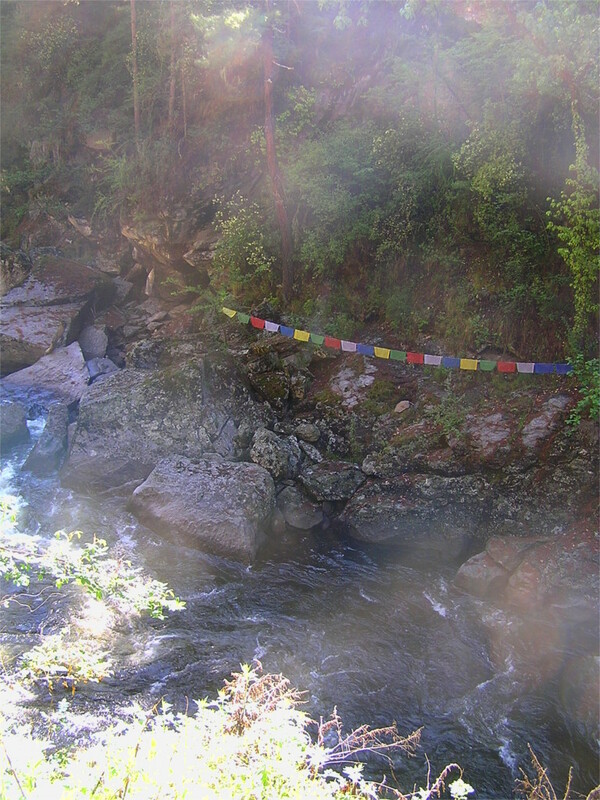 The “lake” was festooned with colourful prayer flags. I’ve talked about this before. They are made of flimsy cloth and have prayers and other holy writing on them. There is a magical belief that as the flags fray and disappear in the rain and wind, the prayers and good wishes are released into the flowing water and wind and are carried into the land. The belief is enough to keep Bhutan’s Gross National Happiness high. The other story from this region was something we heard from the women who gave us lunch in Ura. 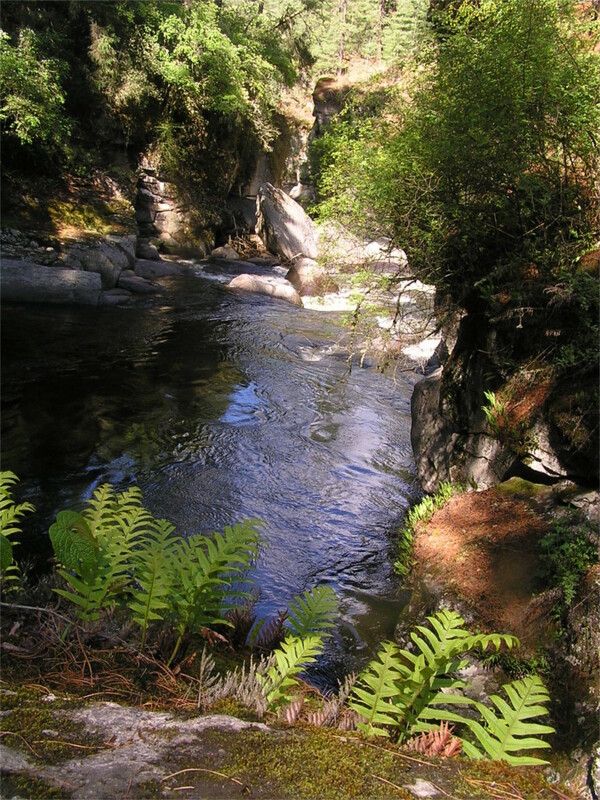 The Ura temple dance, Yakchoe, carries a little relic around the valley. It is not owned by the Dzong, but by a family there. Once an old woman was at home when a beggar came asking for water. She asked him to sit and went into her house to fetch water. When she came back, the man was gone, and there was a little sack left in his place. She opened the sack and found a little figurine of a yak. This holy relic is the centerpiece of the temple dance. I love that Bhutan exists. I read about it once in the National Geographic. Thanks for taking me there.